Aviators and aviation enthusiasts worldwide rejoice! We finally have what the flying business had been missing for 4 years now! That’s right, another book with more adventures at Roost-Air. It has been way too long since our last book but we finally made it back into the comic printing business. This is really exciting for us because we made a bunch of progress on this one. 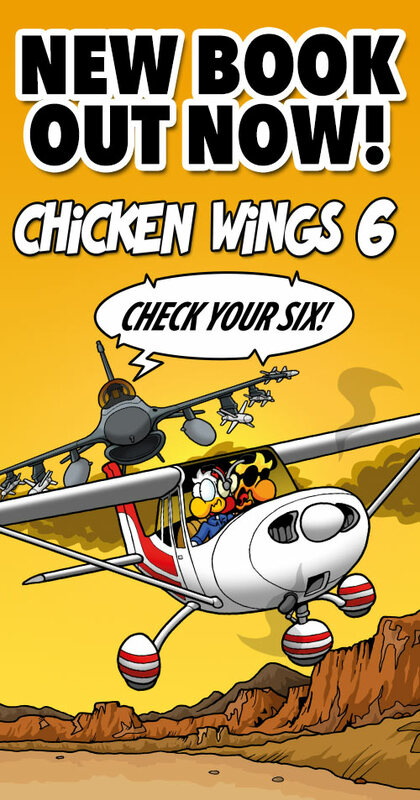 Book 5 will fly at you with a different format, more strips, a different way to do the cover, and less weight. And with the improvements and changes to the printing process we were able to make we are hoping of getting back into a rhythm that allows for more releases in shorter periods of time. We feel these books are easier to read and have great color which shows off Stefan’s artwork even better. Of course we are anxious to see what you guys think and can’t wait to get feedback “from the field”. So please order away and don’t be shy with writing us your thoughts, comments, ideas, and input of any kind. I just received Turning Crosswind by mail. Thanks! This will give me some nice hours when Co-piloting beside the Missus when we drive south for the vacation. I couldn’t resist a sneak preview which already gave me some “Chuckles”. I read Mike’ story about the remake of the first cover. I saw that Chuck and Julio have changed seats? Does this imply a change in PIC as well? Hi! It’s been about one year since I received Book 5, and I definitely enjoyed reading it (a few times already). I didn’t mind the new format, and although I still prefer the old one, shorter and thicker, I do understand the reasons why you changed it. There’s only one thing that (in my opinion) was not as good as in the previous 4 books (but that’s probably not your fault): the print quality – which it not bad, but I think Stefan’s work deserves something even better! 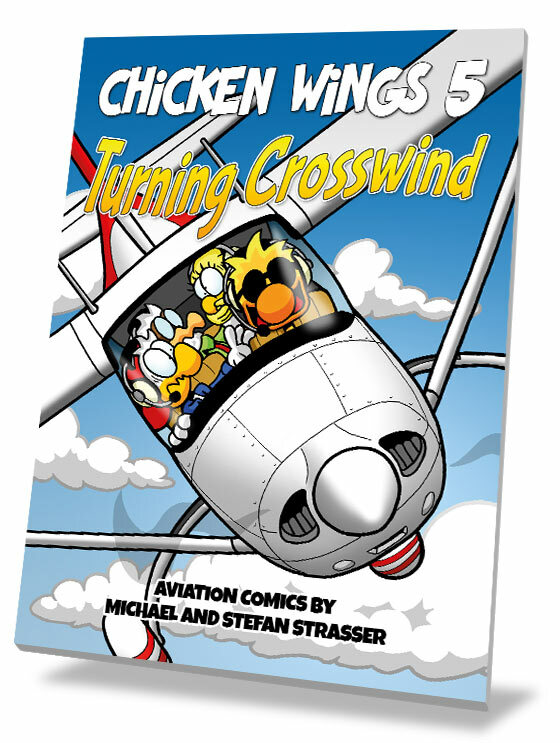 Thank you, Strasser brothers, for creating the most brilliant aviation comics out there!